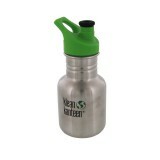 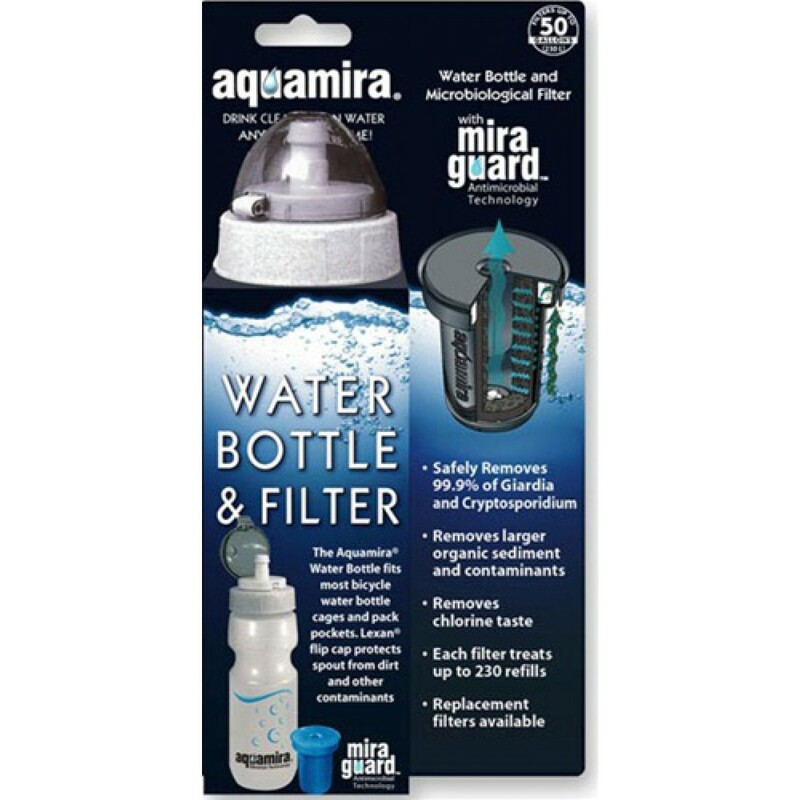 Sized like most sports water bottles--will fit comfortably on your bike! 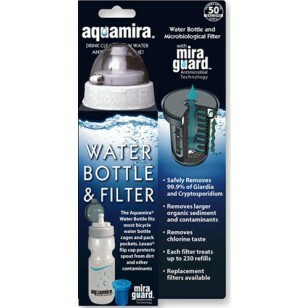 No need to buy a new water bottle when the filter is done--filters are replaceable! 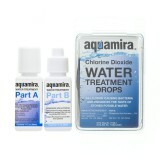 The AQUAMIRA-67002 does not reduce fluoride.